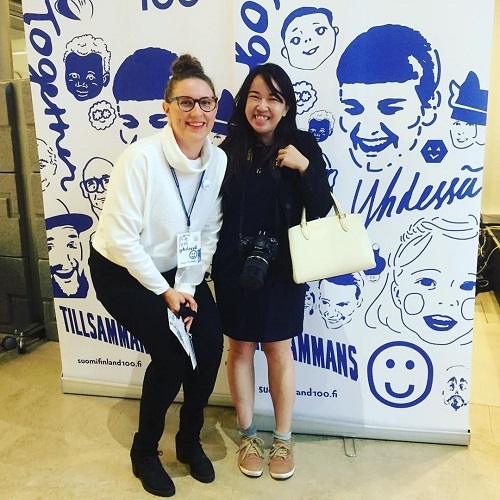 This is Wan Wei, a curious content marketer from Singapore who is currently based in Helsinki. In my free time I also blog at The Hieno! Your Asian Insider's Guide to Finland. I came to Aalto University School of Business to do my Master's in Corporate Communications at the start of 2014. I always wanted to have an education in qualitative studies (since I did my bachelor's with honours in Economics from the National University of Singapore). And so I took the plunge! Unclear and insufficient information in English, which was pretty disappointing for a city which claims to be "international". I am not against insufficient English when the local language is Finnish of course, but why claim to be "international"? I came in January 2014 when the weather was dark and cold, so there was a period of time when I questioned myself as to what I was doing in Finland. Also, some Finns don't reply emails even in the business context, so all you get is silence when you try to reach out with questions. However, I eventually found a solution! What you need to really do is to personally go down to their office, smile a lot and seek some answers face to face. It really depends on how you define "many". There are less than 500 Singaporeans on resident permit "A" in Finland. In fact, "Singapore" as a country is pretty insignificant and unknown in Helsinki - I kept getting questions like "Is Singapore part of China"? So, as someone who prides herself as Singaporean, facing that sort of ignorance was pretty humbling. Of course we Singaporeans in Finland can do much more to raise our country's profile locally. I didn't even know we have a Singaporean ambassador to Finland until last year! The nearest Singaporean embassy we have is in Denmark. Having said that, Helsinki is pretty cosmopolitan and my social circle consists of both expats and locals. The nature I appreciate the tranquility in Finland a lot. Being surrounded by forests and nature in Finland made me realise that my time on Earth is limited. There are also beautiful seasons in Finland, a sharp contrast to Singapore, where it is sunny 24/7. I think life is what you make out of it. So I don't dislike anything about my expat life - rather, I see challenges as opportunities. However, I do observe - based on verifiable data - that strong racism does exist in Finland towards certain minority groups. There are a couple of niche blogs out there specifically on this theme - "Racism in Finland". Personally, I have received death threats simply because I have the privilege of doing a national project endorsed by the Prime Minister's Office, for Finland's 100 years of independence. One note read that all Asians are ugly and that I should be "murdered" and sent back to Singapore, for I am not welcome in Finland. So, I took a screenshot of the note and filed a digital police report. And I shudder to think of people who have received worse threats. Of course I hope this sort of behavior is considered "the exception", but when you read cases like this, you really wonder how unkind people can get sometimes. I think Singaporeans like to talk a lot and give unnecessary (albeit well-intended) advice. "Don't wear this!" "Don't date this person!" "Why aren't you married yet?" "Why aren't you having kids yet?" Finns on the other hand respect your personal space and privacy. They won't make statements like that. Your life is your life. This particular aspect to the Finnish way of life is something I appreciate a lot. I love the food and drinks in Finland and Singapore! There is definitely more variety of alcohol in Finland as compared to Singapore, so I (happily) drink way more red wine here. My favorite alcoholic drink is The Helsinki Long Drink by The Helsinki Distilling Company. I've attached a picture too. 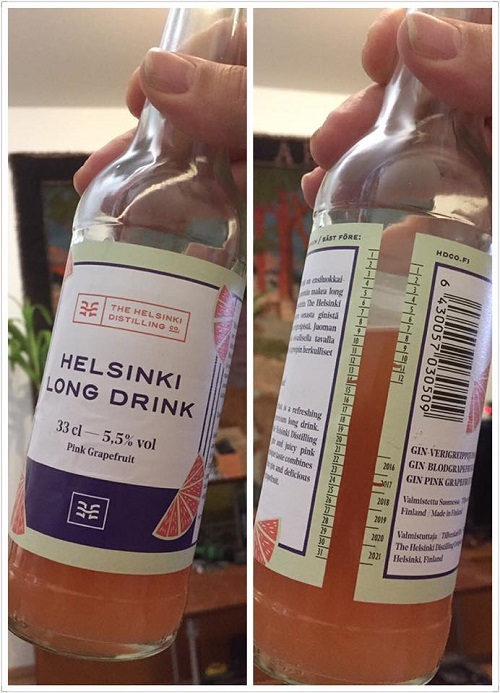 Everyone should try The Helsinki Long Drink - it is great! Apparently they make the long drink out of Finnish TAP water, which I find amazing. Finnish tap water is safe, clean and even delicious! Against the sunlight you can even see many bubbles in it. I learnt to be more open minded, to listen deeply, and to be happy always! I would say to drop all expectations when you are coming to Finland. Finland is no utopia, no matter how this country is marketed. Instead, base your judgements on things that are verifiable. I find that there exist so many myths regarding Finland and the Finnish way of life -and many expats and locals do strongly agree with me on this point! Don't blindly trust what people say about Finland (including what you read in this interview) - always test what people say against VERIFIABLE FACTS. By verifiable I mean things that can be measured. Focus on "what is" instead of "what should be", and make adjustments along the way so that you won't be disappointed. For instance, many Finns like to say that they have the best education system on Earth. Then they will substantiate this claim using PISA results. Actually, this is not even a verifiable fact - just check the PISA results over the last 5 years and you will see that Finland is not even in top five! Another variant is that some Finns like to use PISA test to suggest that they have the best tertiary education system on earth, when PISA is all about primary education. So exactly who are the people spreading this myth? Finns in the education business, of course! Follow the money trail and you will get the truth. I'll be wherever life takes me! I believe in being open to the possibilities of life. For the unimagined life is not worth living. You can keep up to date with Wan Wei's adventures on her website, The Hieno.